Hey hey! 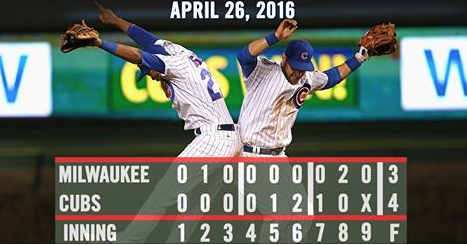 Cubs beat the Brewers 4-3 at Wrigley. Kyle Hendricks held Milwaukee to 1 ER in 5 IP, Adam Warren picked up the W with 2 scoreless relief IP, and Hector Rondon (season ERA 0.00) picked up his 4th save in 4 chances. 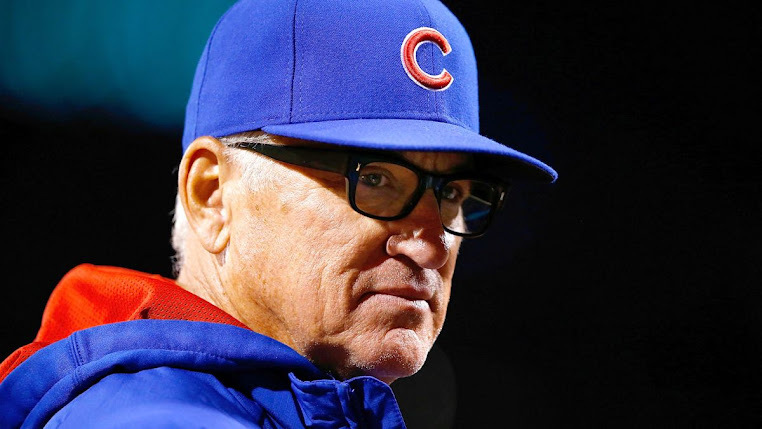 On a cold night with a stiff wind blowing in, Addison Russell hit a clutch 2-R triple in the 6th. But it was Javy Baez's incredible slide to evade being tagged out on a stolen base attempt in the 7th that led to the first place Cubs' deciding run. First pitch of game two of the series between the MLB-best Cubs and the Brewers is at 7:05 p.m. Central time on Wednesday.